Forever Cornwall has been working with the Pole Pole Foundation since the beginning of 2017 and – thanks to contributions from cottage owners, guests and Forever Cornwall themselves – has already helped the charity to plant around 1000 trees in the Kahuzi-Biega National Park in the Democratic Republic of the Congo. As a result this protects the habitat of the gorillas – over 4 million trees have been planted in total. The charity also works with local communities to end destructive tree-felling habits, and helps to build schools and train poachers to become teachers. 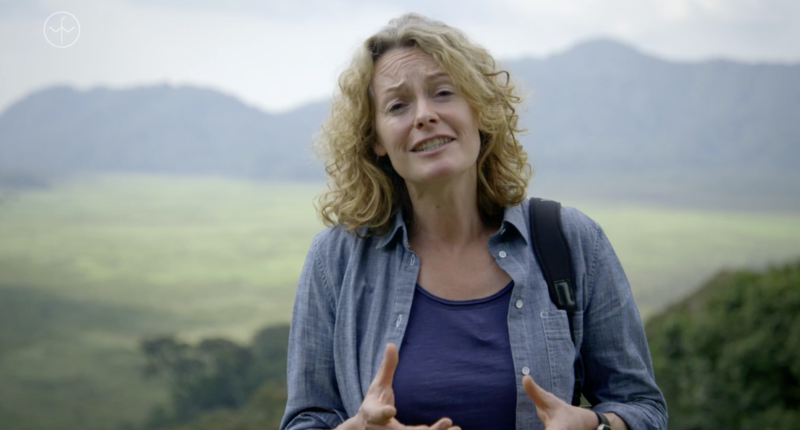 This fantastic work has been recognised and awarded, and Kate Humble herself has recently been out to the Congo to meet the founder of the Foundation, John Kahekwa. Take a look at this wonderful video documenting her time out there – just click the image below. If you would like to contribute to this fabulous cause you can do so by visiting www.polepolefoundation.org. Or why not book a holiday; many of our cottages are now ‘carbon neutral,’ and you, the guest, can also opt-in to the carbon neutral scheme during the booking process. Rest assured that not only will you be booking a holiday in a lovely property, but you will also be contributing to a wonderful charity and assisting the planting of trees in the Congo.